It’s Sorghum Month, and we’ll be helping you make the most of this light grain with healthy sorghum recipes for light summer meals and snacks. First up is an easy Herb and Grain Salad with Basil Oil and Popped Sorghum. Whip up a takeout alternative with this Chicken Tikka Masala with Cilantro-Lime Sorghum. This Warm Grains and Greens Salad is a perfect side all summer long. Lighten up your cheese plate with these crispy Sorghum Sage Crackers. Make breakfast more interesting with this tasty Sorghum Berry Breakfast Bowl. 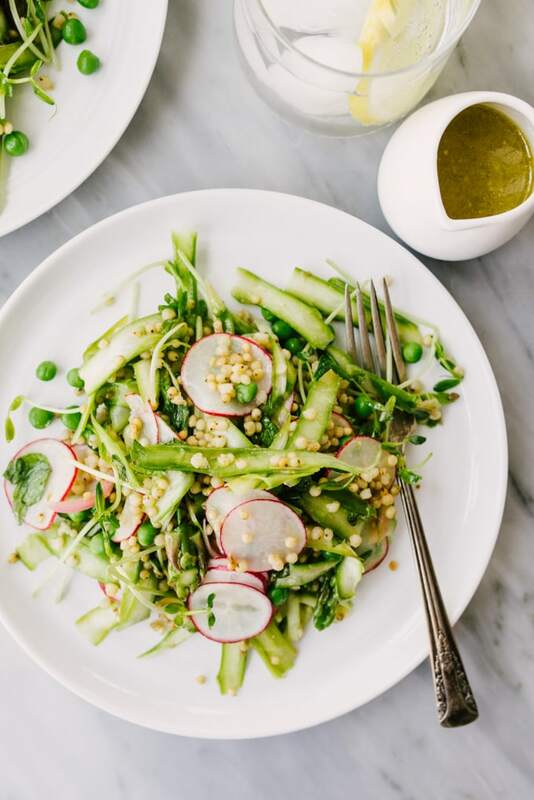 Enjoy this veggie-packed Spring Sorghum Salad with Lemon Vinaigrette for lunch or with dinner. Make Pan Seared Salmon with Leek Puree and Sorghum Pilaf for a light summer supper.